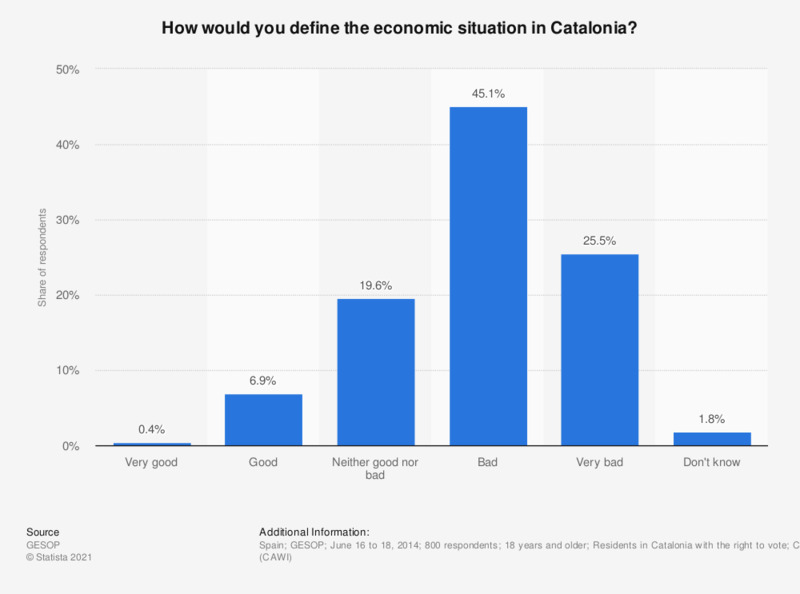 This statistic represents public opinion within Catalonia of the economic situation in the region according to a survey carried out in June 2014. 45 percent of respondents rated the economic situation as bad while over 70 percent rated it as either bad or very bad. Unsurprisingly only 0.4 percent rated the situation as very good as Catalonia, along with the rest of Spain, has suffered particularly badly from the recession.